Is there a way to select an NDI feed on my network as the camera input when joining a rendezvous session? If not, does anyone else think this would be a good feature to have? 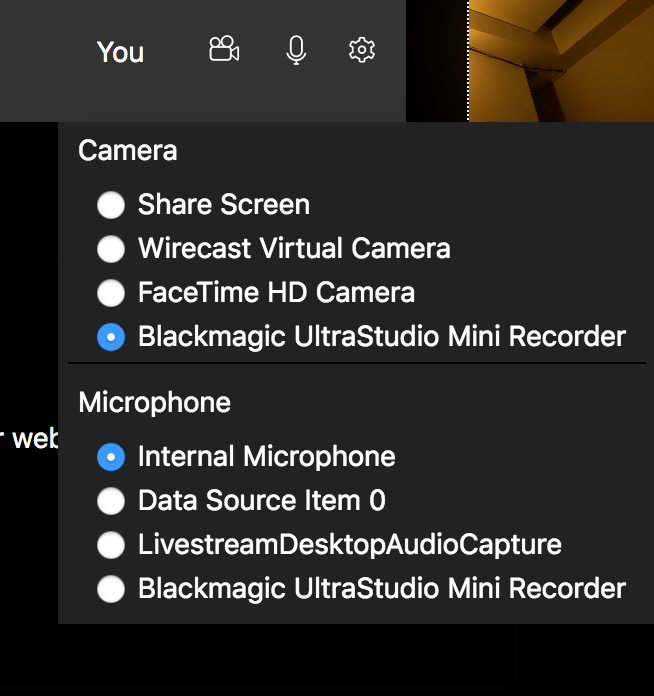 I want to use NDI because I cannot get any professional cameras to work as my input when using blackmagic ultrastudio mini recorders. I make sure my camera is outputting 720p at 30fps, but the video settings in rendezvous don't show an option to select 720p at 30fps. If NDI was an option, I could use my newtek connect spark to output NDI at 720p and 30fps, or set my own wirecast project to output NDI and bring in my program feed as the rendezvous camera. Pardon the garbage video quality (not at my studio and there is only the trash Dell built-in camera). But you should be able to use inputs as webcameras by using NewTek's NDI tools; Scan Converter and Virtual Input tools. Thanks for the info. I had only tried using the NDI feed from wirecast and another software I use for sports production called Production Truck and neither of those would show up in rendezvous as an input. I didn't think of using Newtek's NDI tools to output NDI, but I will try that tomorrow. As the host camera in Wirecast Rendezvous Dashboard? Ben Cowart and as a source into a browser (Firefox in this case).